In terms of losses in human lives and material resources, World War II was undeniably the most destructive military conflict to date. It was a global-military conflict that saw 61 countries taking part in a war that lasted from 1939 to 1945. 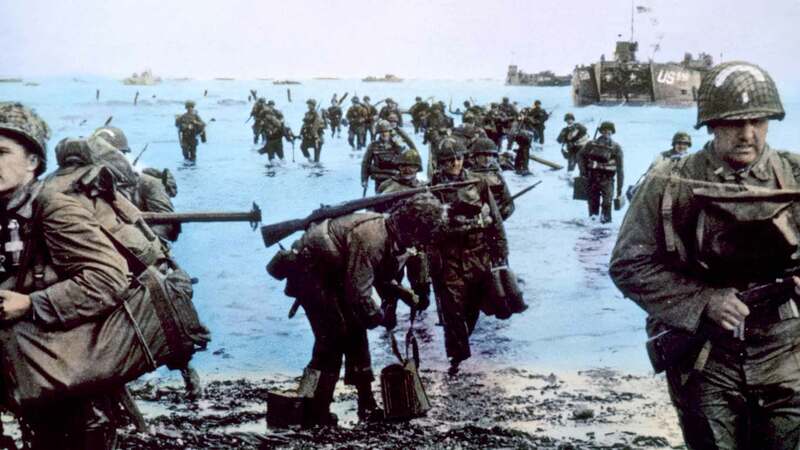 The major participants were the Allied powers, specifically the United States, Great Britain, France, and the Soviet Union, who were at war with the Axis Coalition of Germany and Italy in the European Theater. And concurrently in the Pacific Theater, the United States was engaged with the Imperial forces of Japan. The events leading up to the war can be traced back to 1937 when Japan, seeking to extend her colonial realm and to secure vast raw material reserves and natural resources such as ores and petroleum, launched a full-scale invasion of mainland China. To force Japan to cease their hostility against China, in May 1939, President Franklin D. Roosevelt ordered an embargo of all exports to Japan. Angered over this maneuver and now severely lacking in critical resources to fuel its war effort, Japan turned its aggression on its southern neighbors. That same year, Nazi Germany, in pursuing its own expansionist agenda, invaded Poland and over the next two years continued its aggression by occupying Denmark, Norway, France, and then Russia in 1941, with Italy now entering the war allied with the Germans. Meanwhile, the Japanese army had invaded French-Indochina in 1940 and launched near simultaneous assaults on Malaya, Viet Nam, Thailand, Hong Kong, the Philippines and Wake Island. Their subsequent attack on the U.S. naval fleet moored in Pearl Harbor, Hawaii, with the loss of 2,403 lives, brought the U.S. into the war in December of 1941. Over the next four years, the U.S. Army, Navy, Air Force, and Marines engaged both the Japanese forces in the Pacific while at the same time joining the Allied forces in Europe against Adolph Hitler’s invading armies in Germany and Benito Mussolini’s fascist regime in Italy. Following the encirclement and fall of Berlin by the Soviet army in April of 1945 and the resultant suicide of Hitler, Germany surrendered on May 7th in Rheims, France. With the war over in Europe, the American forces now focused on conducting an enormous invasion of the Japanese mainland in an effort to bring the war in the Pacific to an end. On further reflection, however, to prevent large numbers of U.S. casualties that would result from the invasion, President Harry S. Truman ordered the use of a new atomic weapon instead. The atomic bomb was dropped on Hiroshima on August 6, 1945 and a second bomb on the port city of Nagasaki three days later. On September 2, the Japanese High Command formally surrendered aboard the battleship USS Missouri in Tokyo Bay. But what was the cost of the war to the United States? For some people, the cost of the war is considered strictly in monetary terms. But there was also another cost, one much more irreplaceable than money – the costs in human lives. Monetarily, in 1940 dollars, the estimated cost was $288 Billion. In 2007 dollars this would amount to approximately $5 Trillion. In addition, the effects of the war on the U.S. economy were that it decisively ended the depression and created a booming economic windfall. Because the United States mainland was untouched by the war her economic wealth and prosperity soared as she became the world leader in manufacturing, technology, industry and agriculture.